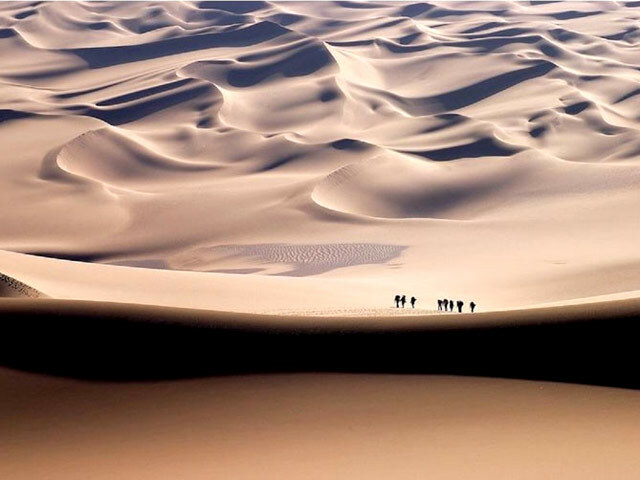 The Silk Road in China, with a wide range of territory, embraces three provinces - Shaanxi, Gansu and Xinjing, adorned with a series of spectacular naturals views and human landscapes. 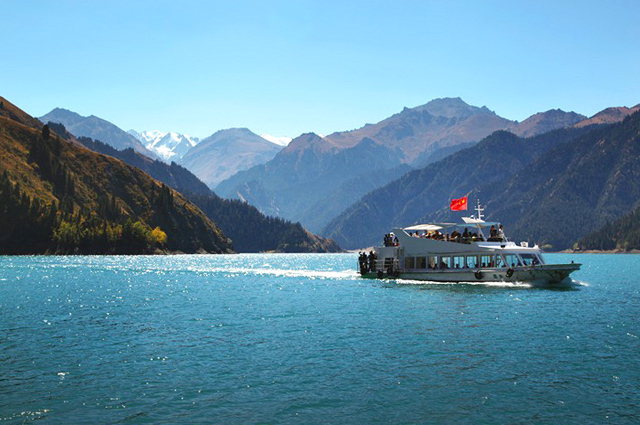 Each city situated in the route of Silk Road is endowed with wonderful attractions, colorful history and distinctive culture. Traveling along Silk Road is an exploration of mystery and wonder. 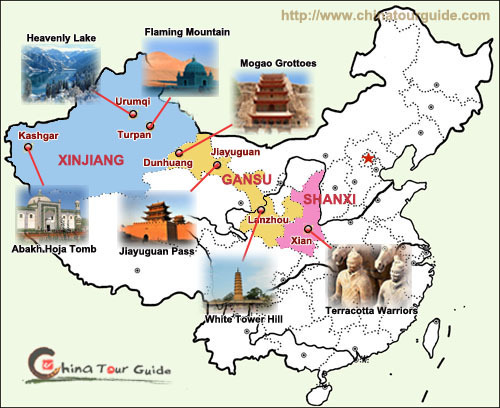 As the eastern starting city of Silk Road, Xian, called Changan in the ancient time, is the cradle of Chinese civilization and the center of prehistory culture, since it was occupied as the capital of 13 ancient dynasties. It is one of the six ancient Chinese capitals, and served as an imperial hub for over a thousand years. In the long history, this high-standing city attracted traders from far and wide to bring goods and ideas for sale and to take goods and ideas back with them to their communities. 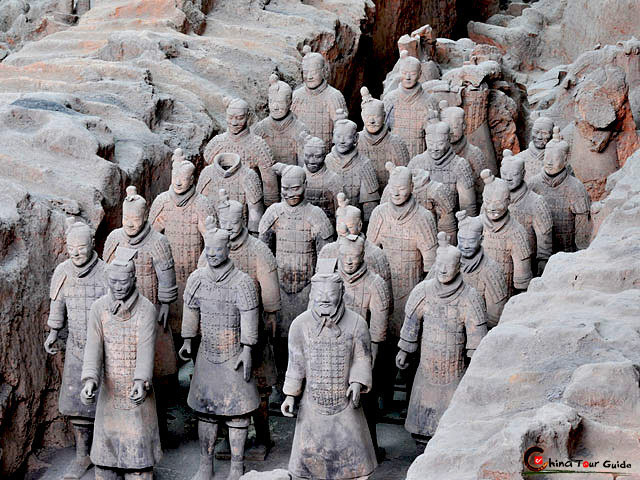 Blessed with numerous marvelous historical and cultural relics, especially the breathtaking Terracotta Warriors, Xian, now the capital of Shaanxi province, is the political, economic, and cultural center of Northwest China. Ranked as the second largest city of Gansu province, Tianshui is bordered by Shaanxi province and Sichuan province, which was a must-passed hub of Silk Road with military importance in former times. Like Xian city, Tianshui is also an important spot giving birth to Chinese civilization, with various profound cultures originated from ancient Chinese celebrities such as Xuanyuan, Xihuang and Fuxi, and formed in different dynasties such as Three Kingdoms (Wei, Shu and Wu). Tianshui is also well-known for the cave culture, home to one of the four famous caves - Maijishan Grottoes filled with thousands of Buddhist sculptures representing figures such as Buddha and the original male form of Guanyin. Once a key regional transportation hub and a bustling trading center, Lanzhou, regarded as the solid Golden City, is the capital and largest city of Gansu Province in Northwest China, situated on the upper reaches of Yellow River where it emerges from the mountains, at the southern end of the route leading via the Hexi Corridor across Central Asia. 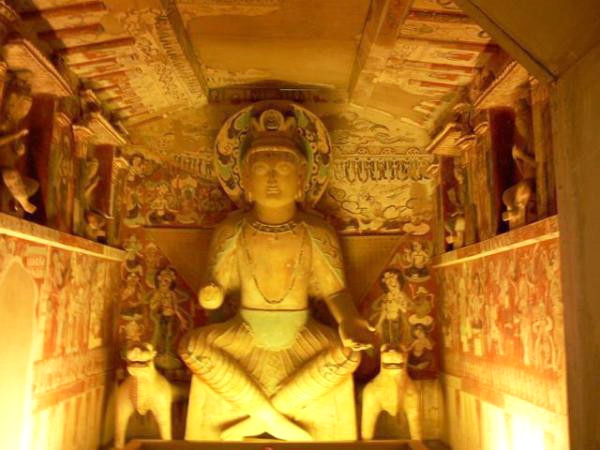 Date back to at least the first millennium B.C., Lanzhou was a major link on the ancient Northern Silk Road and at present time is also an important hub to the world-famous attractions such as Mogao Grottoes, Maijishan Grottoes, Bingling Temple, Labrang Monastery, etc. Left with abundant spectacular historical sites and cultures, Lanzhou attracts thousands of visitors from all over the world. Located in the northwest of Gansu Province, Zhangye was once of military significance for ancient China, especially Han Dynasty, to defend against the enemy Xiongnu tribe, since its geographic position formed a natural passage to the Central Asian portion of the empire. Formerly known as Ganzhou, a name retained in the Gan of the province of Gansu, the city abounds in agricultural products such as wheat, rice, maize, fruits, etc. With the distinctive landform, Zhangye is decorated by snow mountains, verdant grassland, rambling river and extensive desert, forming an aesthetic picture filled with the charms of southern China and the flavors of northwest minority. Jiayuguan is a prefecture-level city in northwestern Gansu province, well-known for the nearby Jiayuguan Pass, the largest and most intact pass of the Great Wall of China. 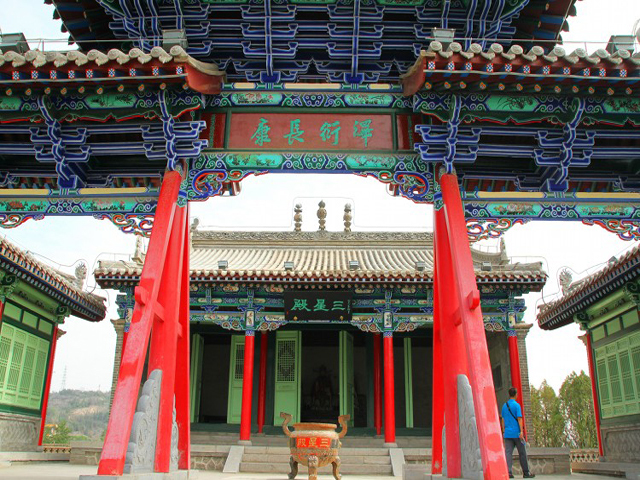 As one of the most important communication center of the ancient Silk Road, Jiayuguan Pass is located at the narrowest point of the western section of the Hexi Corridor, facing with Qilian Snow Mountain and connecting with the Overhanging Great Wall and traversing the desert, which is suitable for the adventure-lovers to explore the mysterious Northwest area. What鈥檚 more, Jiayuguan city features abundant minerals of over twenty kinds. 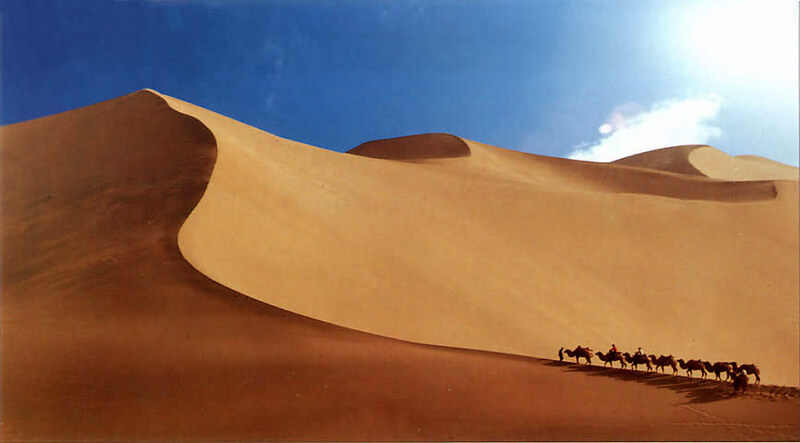 Dunhuang, one of the famous national historical cities, is endowed with deep significant meanings of transportation and culture. It stands at a strategic position at the crossroads of the Silk Road which extended to Europe, India and Mongolia. Blessed with the world-famous Mogao Grottoes, an outstanding Buddhist cultural heritage, Dunhuang is well-known for the amazing caves and murals, as well as Overhanging Great Wall, Yumenguan Pass and Yangguan Pass, the important military defend system in the ancient time. Located in a rich oasis containing Crescent Lake and Mingsha Hill, the city, like an old storyteller, tells about a variety of legends and stories along Silk Road and the long historical transition of the ancient China. As an oasis city located in the eastern Xinjiang and a gateway to the mainland of China, Hami is renowned for its sweet Hami melons and the diverse peoples and cultures. 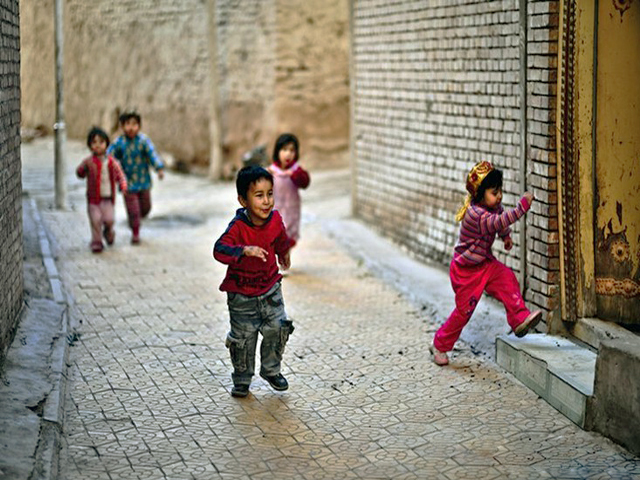 Once serving as an important trading spot along the ancient Silk Road, Hami has become a harmonious family housing all kinds of ethnic groups such as Uygur, Muslim, Kazak, Han, etc., which form distinctive and profound folk custom, simple and elegant, blending the culture of Han and minority. Hami melon is the most famous specialty in Hami city, which is a must-taste for tourists. Every year, a related festival is held in the area, attracting many locals and foreign travelers. Urumqi, the capital of Xinjiang province, is the second largest city of northwest China and an important gateway opening to the West. Regarded as a major hub on Silk Road during China's Tang Dynasty, Urumqi developed its reputation as a leading cultural and commercial center during China鈥檚 Qing Dynasty. 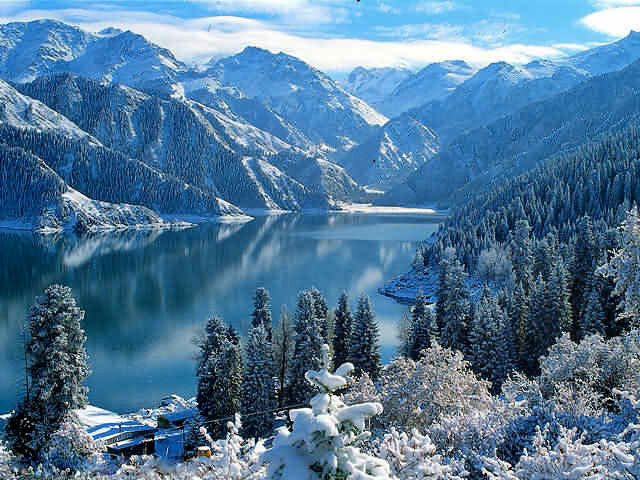 Inhabited by more than 50 ethnic groups, Urumqi is home to diversified-landform natural views, such as snow mountain, dense forest, vast grassland and crystal lake, which offer a good chance for sightseeing and exploration. 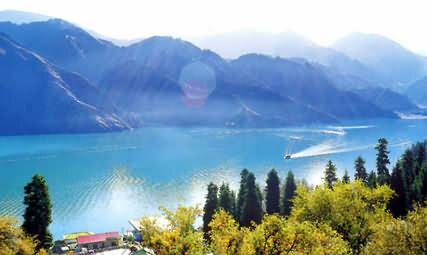 In addition, the abundant cultures and customs give travelers an exotic experience in northwest area of China. Situated in the middle east of Xinjiang province, Turpan, also called Fire City, houses the richest historical heritages of China Silk Road. Since it was once one of the political, economic and cultural centers in the western area, Turpan is bestowed with a lone history of more than 4,000 years, home to the marvelous attractions such as Jiaohe Ancient City, Gaochang Ancient Ruins, Karez, Uygur Ancient Village and other over 200 historical sites. This city demonstrates the most colorful world on Silk Road combining a variety of cultures, religions and ethnic groups, with attractive charms on architecture, entertainment, customs, etc. Turpan abounds in high-quality fruits and melons, especially grapes, thanks to the unqiue desert climate and the ancient system of irrigation. Regarded as the Oriental Cairo, Kashgar is the westernmost oasis city in China, located in a strategic position adjacent with eight countries. It is the cradle of Uygur culture, with a reputation of profound culture, distinctive folk custom and spectacular natural landscapes, such as Id Kah Mosque, Abakh Hoja Tomb and Karakul Lake. Gaotai Residential and maze-like old streets are the representatives of Uygur-style architecture. Kashgar also has a very important Sunday market, featuring a variety of local products like handmade silk and carpet, teapot, wooden jewellery, etc.